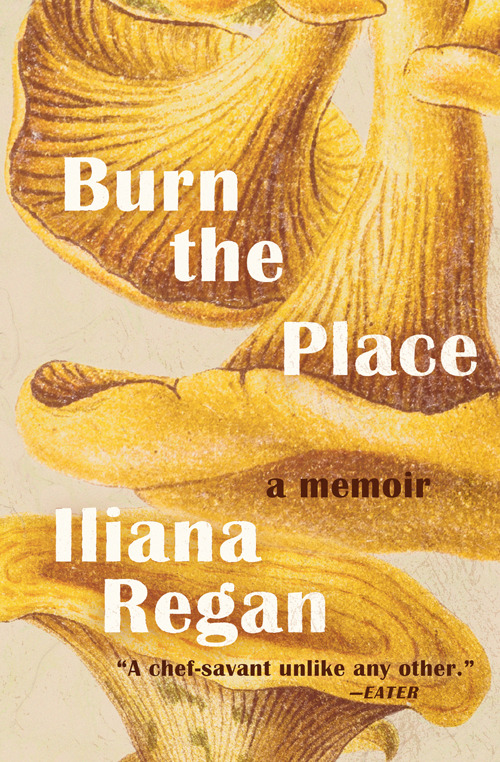 Burn the Place is a galvanizing culinary memoir that chronicles Iliana Regan’s journey from gigging frogs on the family farm to opening her Michelin-starred restaurant, Elizabeth. Her story is alive with startling imagery, raw like that first bite of wild onion, and told with uncommon emotional power. Regan grew up the youngest of four headstrong girls on a small farm in Northwest Indiana. While gathering raspberries as a toddler, Regan preternaturally understood to pick only the ripe fruit and leave the rest for another day. In the family’s leaf-strewn fields, the orange flutes of chanterelles seemed to beckon her while they eluded others. Regan has always had an intense, almost otherworldly connection with food and earth. Connecting with people, however, has always been harder. As she learned to cook in the farmhouse, got her first job in a professional kitchen at age fifteen, taught herself cutting-edge cuisine while running her “new forager” underground supper club, and worked her way from front-of-house staff to running her own kitchen. Regan often felt that she “wasn’t made for this world.” She was a little girl who longed to be a boy, gay in an intolerant community, an alcoholic before she turned twenty, a woman in an industry dominated by men. Burn the Place will introduce you to an important new voice from the American culinary scene, an underrepresented perspective from the professional kitchen, and a young star chef whose voice is as memorable and deserving of praise as her food. The book will ship in July.